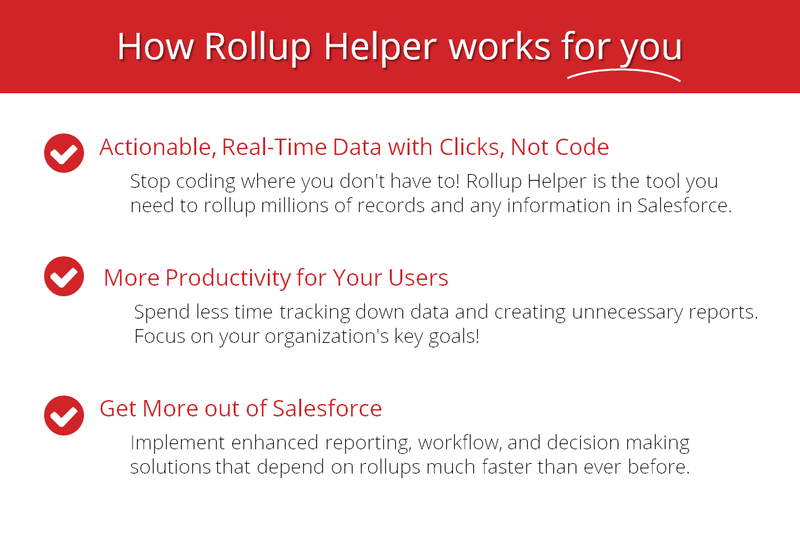 With Rollup Helper, you can roll-up any Salesforce data: Count, sum, max, min, average, percent, lookup rollups, text, & multi-currency roll-ups. Roll-up more data! Roll up any information in Salesforce with clicks and not code. 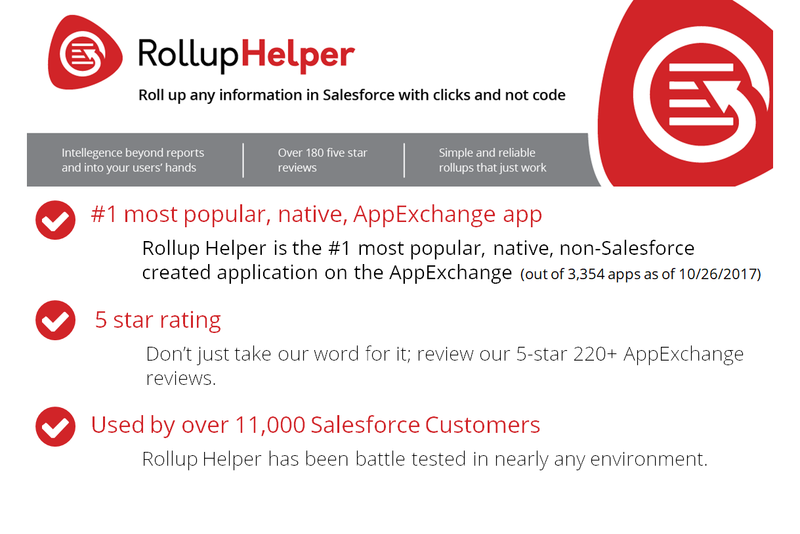 With Rollup Helper, you can roll-up any Salesforce data: Count, sum, max, min, average, percent, lookups, text, formula, and multi-currency roll-ups. Roll-up more data! Rollup Helper brings real-time data to your fingertips. Whether your data is in a standard or custom object, or is part of a Salesforce or AppExchange app, you now have the tool you need to get real-time, actionable data for your process- even for your most complex roll-up scenarios. Since Rollup Helper is not restricted with requiring a Master/Detail relationship between objects, roll-up summary fields in Salesforce are a breeze. Rollup Helper also doesn't count against your Rollup-Summary Field limits! 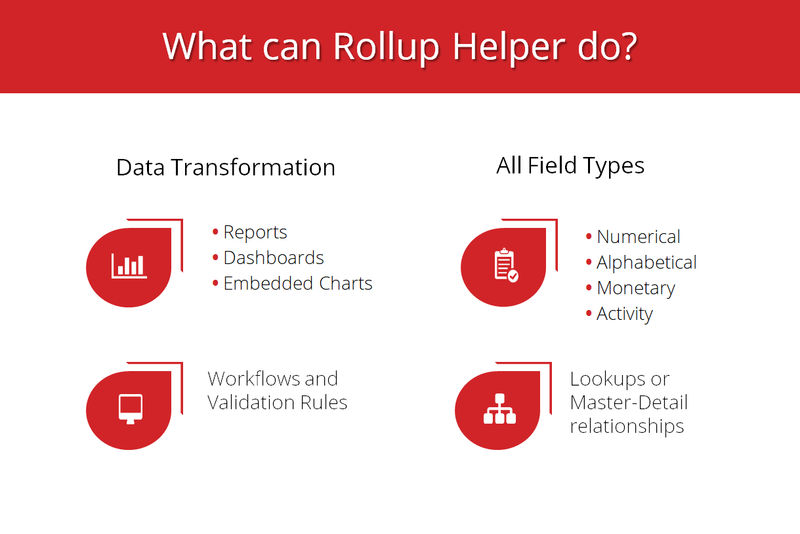 Use Rollup Helper to create data roll-ups that will provide insights you could never have before. All data stays safe and secure in your org. With absolutely no coding required, this is an amazing accelerator for your admins, business analysts, and developers. 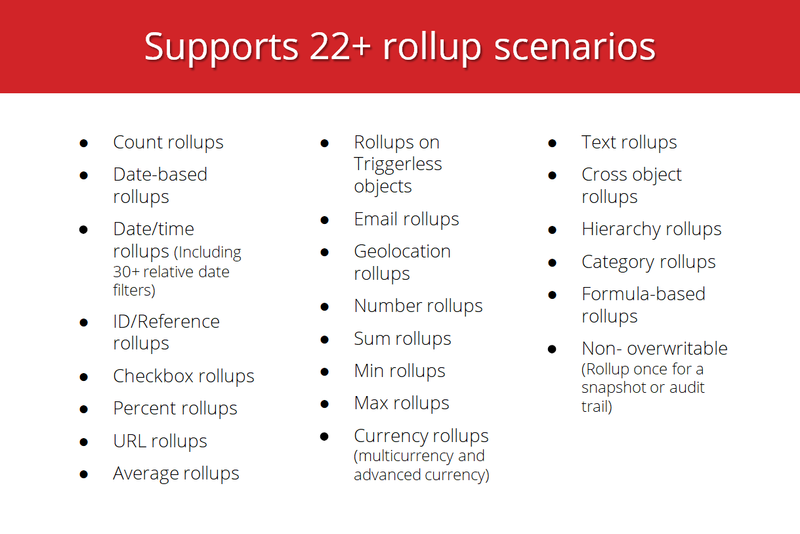 Rollup Helper supports lookups, rolling-date based roll-ups, cross object filters and roll-ups, formulas, and hierarchies. 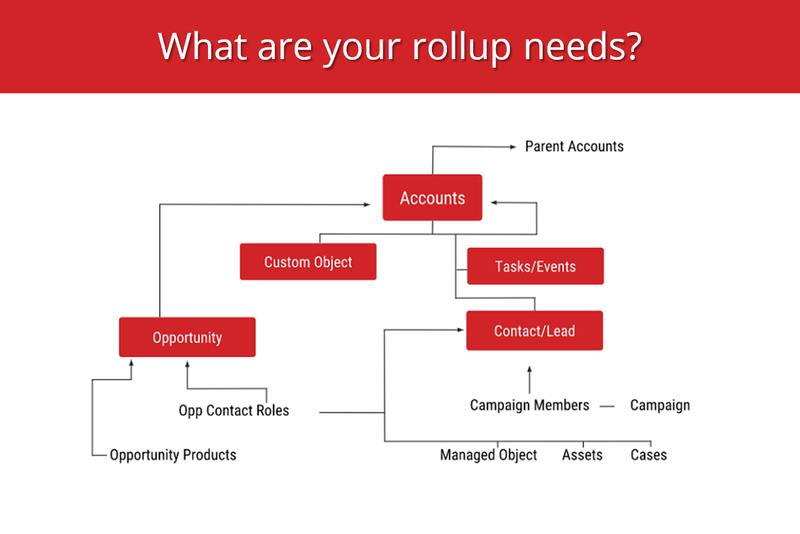 Easily create custom rollup filters that allow you to segment data to fit your needs, whether they are simple or complex. 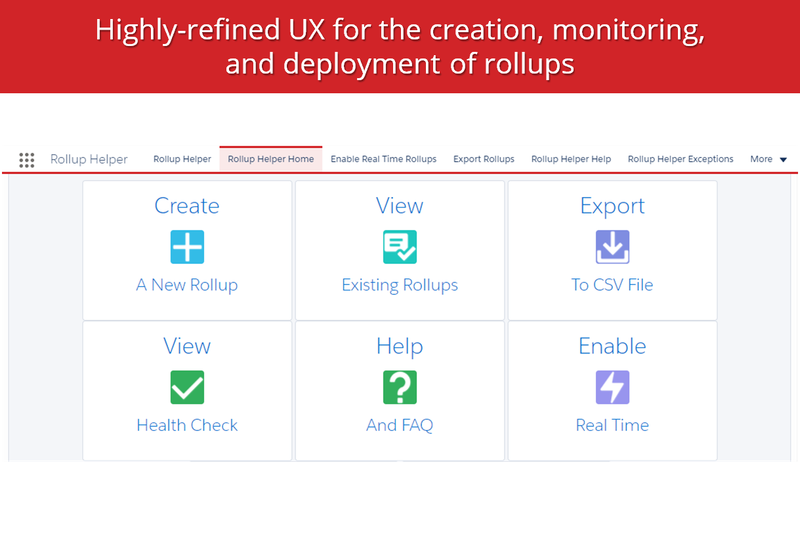 Upgrade to Rollup Helper Premium Edition for unlimited rollups and priority support! Hi there! Are you looking to implement a solution like Rollup Helper?